Though WordPress has come an incredibly long way from its blogging roots, there’s still a certain degree of skepticism in some quarters about whether it’s a platform that’s ready for enterprise adoption. The concerns are not totally without reason — at least in principle. Whether in terms of security, scalability, reliability, or just general ease of use, enterprise environments bring unique challenges to the table, and any underlying weaknesses in software solutions will quickly be exposed. In this piece, we’ll step through some of the most common objections that have dogged WordPress’ route to this potentially crucial market so far, and make a case for them no longer being applicable. Let’s start with the open-source nature of the platform itself. WordPress has been an open-source affair from the get-go and has consistently stayed true to the principles of that philosophy over the years. With its current status of powering over a quarter of the sites currently online, it’s also one of the highest profile open source projects in the world today. There was a time when the mere mention of open-source software had enterprise clients scrambling for cover, but those initial doubts have been blown away by decades of rock-solid performance by projects such as Linux, Apache, Android, and a host of others, without which the modern web simply wouldn’t exist. It’s hard to pin down exact numbers for open-source adoption across the enterprise, but a recent survey from Black Duck Software saw 78 percent of respondents relying on open-source for operational matters, and 66 percent developing software built on open-source roots. The reality for most enterprise firms is that software will be assessed on its wider merits, rather than simply on whether it’s proprietary or not. WordPress’ status as an open-source project is a long way from being a significant burden in today’s world – if anything, it’s an advantage. WordPress’ origin story as a blogging platform has arguably done more to damage it in the enterprise world than any other factor. By their very nature, many enterprise companies are slightly insulated from the world at large, and not always up to speed on technical developments outside their immediate areas of focus. The sheer pace of change in the world of WordPress over the last five years in particular hasn’t necessarily penetrated the consciousness of many enterprise IT departments. Admittedly, much of the focus of WordPress’ recent growth and increasing maturity has been around the small-to-medium business end of the commercial spectrum, but its role as just another blogging platform is now a long way behind it. The success of WooCommerce is just one example of WordPress’ incredible versatility these days. WordPress today boasts an increasingly impressive plugin ecosystem that helps power thousands of businesses worldwide, and the commercial side of the platform now has entire conferences devoted to it. 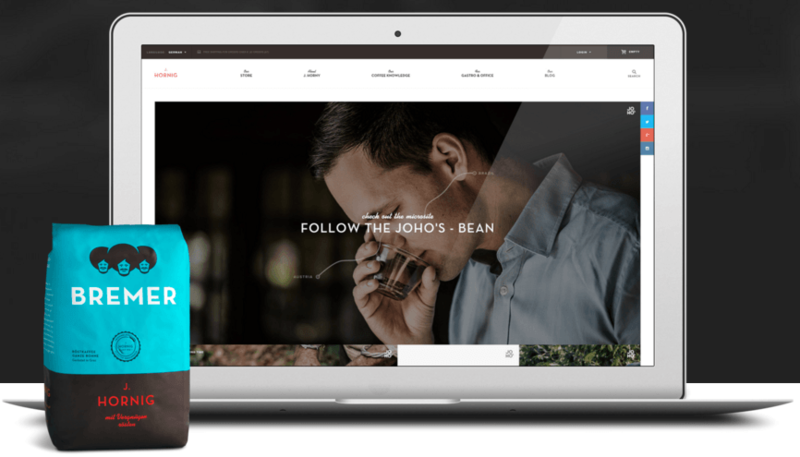 The incredible recent success of WooCommerce in dominating e-commerce from more or less a standing start is also a testament to the power of WordPress as an inherently disruptive multi-purpose platform. The adoption of WordPress by an increasingly large group of blue-chip traditional media companies such as Wired and the New York Times also demonstrates how far from its blogging roots it has moved. In 2016, WordPress is a battle-tested, general purpose publishing system suitable for use by companies of any size in even the most commercial of settings. Though WordPress as a project has made much of its plucky upstart status over the years, there’s no denying that the company behind much of its development is an increasingly serious enterprise player. 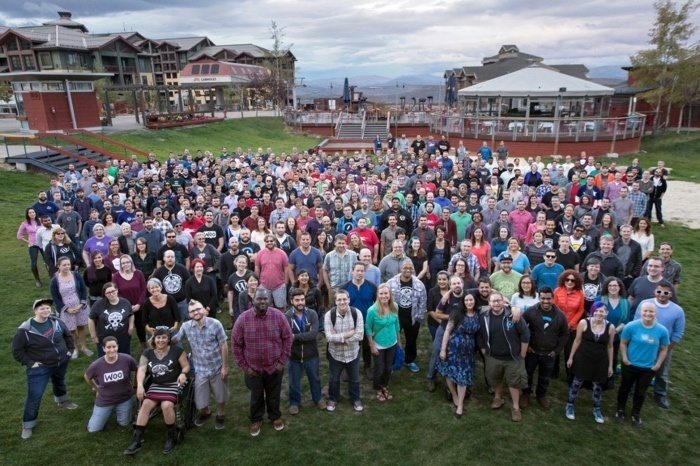 Automattic has steadily grown from a tiny dispersed operation to a company with a headcount of over 450 and a valuation north of $1 billion. Definitions of exactly what constitutes an enterprise company are notoriously loose, but when you’re raking in over $50 million a year, regularly acquiring companies, and the subject of constant IPO gossip yourself, it seems fair to say that you’re at least most of the way towards actually being one. Automattic is an increasingly serious enterprise player. Automattic’s position in the world of WordPress has not been without controversy, but its emergence as an increasingly serious commercial player gives the platform a degree of stability and financial backing that naturally appeals to an enterprise audience. One of the main knocks against WordPress to date when it comes to its use in any kind of traditional corporate IT setting was its almost total reliance on a PHP codebase that could charitably be described as loosely organized. The underlying code behind WordPress core has come on in leaps and bounds over the years, but integration with external apps has long been a hairy ride for all concerned, and not every development team was prepared to really get down and dirty with a PHP-based solution. The arrival of a properly specced-out REST API represents an absolute game-changer in that regard and opens the door to WordPress as a full-fledged application framework that can be adopted and interacted with by programmers from any background. The REST API is set to transform WordPress as a platform. The REST API’s journey towards core has been a somewhat bumpy one to date, but no-one in the community is in any doubt about what a step forward for the platform it potentially represents. From an enterprise perspective, it promises to make integration with existing systems substantially cleaner and easier to maintain down the line and opens up the core of the platform to a fundamentally wider programmatic world. Debates on scaling are never far from the surface when any software solution attains critical mass, and WordPress did not fare particularly well in this regard early on in its evolution. With a quick look at the Automattic About page showing that WordPress.com is currently serving 131 million monthly unique visitors, it seems fair to say those days are in the past. The success of WordPress VIP shows the platform is already scaling to enterprise levels with ease. The list of enterprise-level VIP partners that WordPress.com supports is equally impressive, and further proof that the platform is already successfully scaling to the degree demanded by some of the biggest online presences on earth. Even more, other hosts also boast some equally impressive enterprise-grade partners, confirming WordPress’ scalability. Even if enterprise companies are handling the hosting themselves, the technical intricacies of scaling WordPress are generally well understood at this stage, and shouldn’t pose a significant hurdle for any experienced team. As one of the most widely used pieces of software on the open web, WordPress has been a big, fat, juicy target for various nefarious online elements for over a decade now, and the road towards hardening the platform hasn’t always been smooth. Even a quick read of the Vulnerabilities section of the WordPress Wikipedia entry shows there’s been no shortage of issues over the years, and attempts to undermine the platform are ongoing in nature. The reality today, however, is that WordPress core is more secure than it’s ever been. The WordPress Security Team includes 25 of the best in the business watching over the heart of the platform, and documented vulnerability reporting procedures are in place. Standard options for individual site owners to harden WordPress are also widely known. WordPress core is incredibly secure and has been for some time. The use of plugins and themes will always bring a certain level of risk, but with the type of resources and in-house security procedures enterprise companies are used to dealing with, the risk is no greater than that of any other comparable solution. If companies are unprepared to carry the burden themselves, world-class enterprise-level secure hosting is also available from companies such as WP Engine. As WordPress moves towards Matt Mullenweg’s aim of 50 percent market share, widespread enterprise adoption is going to become an increasingly important part of its next stage of growth. Open source is a plus point rather than a minus these days. WordPress has proven itself as a multi-purpose publishing solution. Automattic’s involvement gives the platform long-term stability. The REST API is poised to fundamentally widen the software’s utility and appeal. Scaling WordPress is essentially a solved problem. WordPress core security standards are up there with the best in the business. Is WordPress is ready to make the final leap, or are the training wheels still firmly on? Get in touch via the comments below and share your thoughts!